When it comes to building a custom home, deciding on the style of your home can be incredibly difficult – after all, there are plenty of looks to choose from! From sleek and sophisticated to heritage or the Hamptons, there’s an option for every budget and timeline. The Hamptons, in particular, continues to be a popular design, and we anticipate it to be a key design trend for 2019. Its name is derived from the type of homes found in New Yorkers’ favourite holiday spot, while its style is dictated by open-plan spaces and a fresh aesthetic, with an emphasis on natural colours and textures. The style is both rustic and sophisticated, with high ceilings, arched doorways, shutters over windows and oak timber flooring all appearing. Other discernable features include cladding on the exterior, 12-pane windows and French doors, paneling on walls and white benchtops in kitchens and bathrooms. Timber is often the material of choice, appearing not only on the walls and floors, but in the fixtures and furnishings as well. Linen is also a popular fabric for soft furnishings, adding a rustic element to the wider space. The Hamptions design also celebrates the idea of indoor/outdoor living, with open-plan kitchens and living rooms opening up to gorgeous decks or balconies. More often than not, these outdoor spaces are covered, allowing for all-year entertaining. This element is reflected in the design’s origin – as holiday homes, these types of houses were built to host visitors! 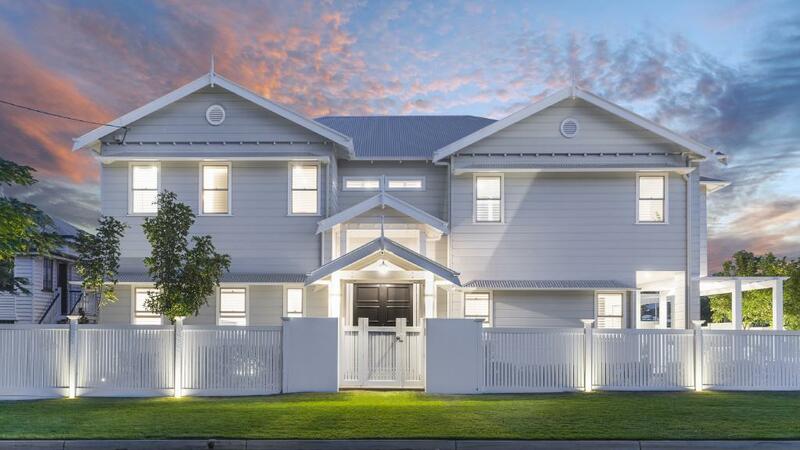 With similarities to the Queenslander, bungalow or weatherboard style of home, the Hamptons design is easy to achieve with an existing home, and doesn’t look too out of place when building from scratch. It generally emphasises cross-ventilation and natural light, meaning light and airy spaces that don’t rely on artificial sources. The style is also flexible, combining well with both a minimalist aesthetic or glamourous feel, making it appealing to those who are looking for a timeless and classic design. So should you be building in the Hamptons style? If you’re after a contemporary design that can be uniquely adapted to your requirements, it’s definitely worth considering! Get in touch with the team at Primebuilt to discuss you home plans for 2019.